Microsoft Dynamics NAV has always had its own report designer. 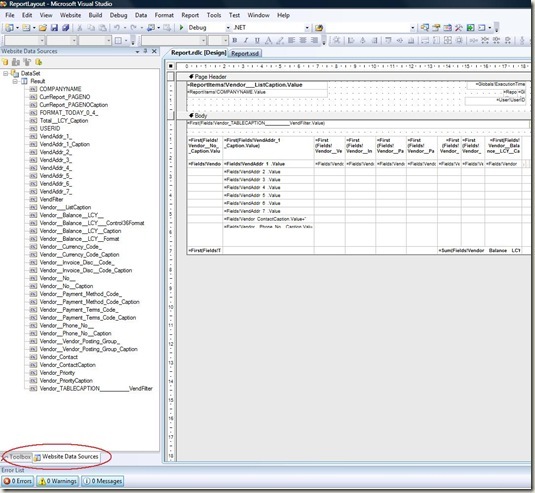 In NAV 2009 it still does, but in addition to this you can also use the Visual Studio (VS) report designer. 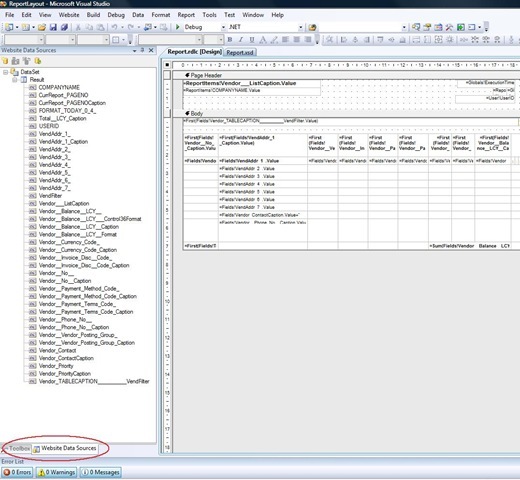 NAV 2009 – both the classic and the new client – will still run reports designed in NAV’s report designer. So in way nothing has changed. You can still use the existing report designer. VS report designer offers a lot of new options and features. The idea of this post is to describe what features out of 100s that you actually need. When it comes to a simple report, only a very few features are needed to get started. This post tells you which ones they are. The classic client can still only run reports designed in the classic report designer. The new client (Role Tailored client – RTC) can run reports designed with either the classic or with VS report designer. When RTC launches a report, it checks if a layout has been defined in VS Report designer. If it has, then it will run that. If no layout has been defined, it will launch the report engine from the classic client and run the report exactly like it would have been run from a classic client. This does require that a classic client has been installed as well, even if the user will never have to run this client. I this way you can use the classic report designer for some reports, and VS Report designer for others. Report design is still done from Object Designer in the classic client. VS report designer is a different environment. It has features that are not available in the classic report designer, but also limitations compared to the classic report designer. For example, it does not support Trans-Headers and Footers. But as described above, the VS report designer is a choice you have – you can still use the classic report designer if there are things you can’t achieve with the VS report designer. 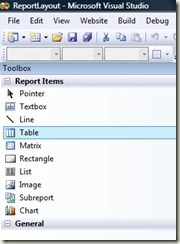 Sections is where you make your report layout in the classic report designer. This will run in the classic client as well as in RTC. For RTC you can create a report layout, which is done in VS report designer. So “Sections” refer to the classic report layout while “Layout” refers to the layout done in VS. This makes a “best effort” to transform your classic report design and create a suggested layout in VS report designer. This can do a lot of the hard work for you so you don’t have to start from scratch, or design sections first in the classic report designer, and then create the layout in VS report designer. The tool can’t guarantee to transform every report, but it will always at least give you a good start, and for many reports it will do all the work needed. This opens VS report designer and is where you will go to design your report for the RTC. The classic client runs forms while the new client runs pages. The same goes for request forms on a report. So if you want to add options to the report for the new client, then do that in the request page. This is where you select the fields to print on the report. It will automatically show you anything that you have added to sections in the classic report designer. So to add / remove fields from here, go to sections and add / remove them from there. To add the fields from the WebsiteData Source, just drag and drop them into a table or to where you want them displayed. VS report designer has 100s more options, features and elements, but the ones mentioned here are the only ones you need to get started. When you have done your layout in VS report designer, close and save it which will bring you back to the classic report designer. Moving one line up or down will prompt you if you want to load the report layout. 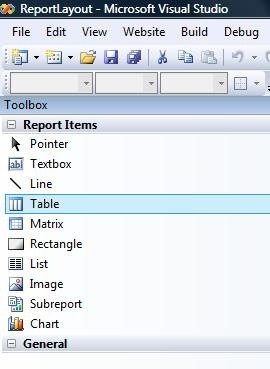 When you do that, the VS report layout is saved in the report object itself. So exporting a report from Object Designer will export all of it, including the layout you have designed in VS report designer, whether you export the object as .txt, .xml or .fob. If you export the report as .txt or .xml, you can see the VS report layout added at the bottom of the report, in a section called RDLDATA. or of course you can add the report to a page to run it from the new client.